Shakespeare cast the Scottish king as the ultimate villain, but you shouldn’t believe everything you see on stage or screen. It is among the bloodiest and cruellest of plays. For some, even uttering its name can conjure up bad fortune and the foulest of happenings. 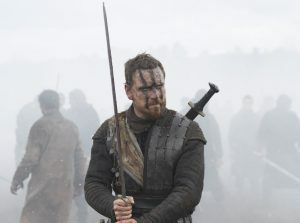 But now, Michael Fassbender’s acclaimed film put the tragic tale of Macbeth back in the spotlight. Shakespeare’s Scottish play tells of a warlord pushed into a blood-soaked coup by the Delphic prophesies of a trio of witches – and the relentless ambitions of his wife. Like so many modern military dictators, Macbeth seizes power with the best intentions but is haunted by his lack of legitimacy and quickly descends into vicious tyranny. Needless to say, there are no happy endings for this usurper. Macbeth is not just a fiction, however, but a real man, too. Born around 1000, he reigned in the kingdom of Scotland from 1040 to 1057. Subsequent Scottish kings claimed their descent from his rivals – Duncan and his son Malcolm – however, and so as the narrative of Scottish history was gradually constructed and reconstructed over the course of the 500 years that separated Macbeth and Shakespeare, Macbeth became a bogeyman, even the son of the Devil himself. Hard facts from this period are few and far between. We can, however, correct some of the elements in Shakespeare’s gory version of events. 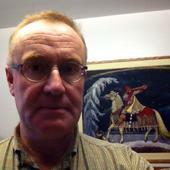 In the play, Duncan, the king Macbeth murders for the crown, is an old man. But his real life namesake, Duncan I, was rather younger. He also had only a spurious claim to the throne. While Duncan, who ruled from 1034 to 1040, was the grandson of Malcolm II (1005-1034), the lineage ran down the maternal side – Malcolm II had, in fact, killed off many of his other male relatives. In those patriarchal times, this rarely would have been good enough to qualify for the crown and doubtless caused the Scottish nobility to grumble about Duncan’s legitimacy. Enter Macbeth. Macbeth’s family dominated the northern part of the kingdom and had some pretensions to royalty themselves. They were descended from someone named Ruaidrí – whose origins are unknown but probably lived in the late 10th century – and appear to have won their renown battling the viking colonies in Caithness and Orkney. In effect, they were the guardians of Scotland’s back door, something reflected perhaps in Shakespeare’s decision to begin his play with Macbeth’s victory over the Norwegians. 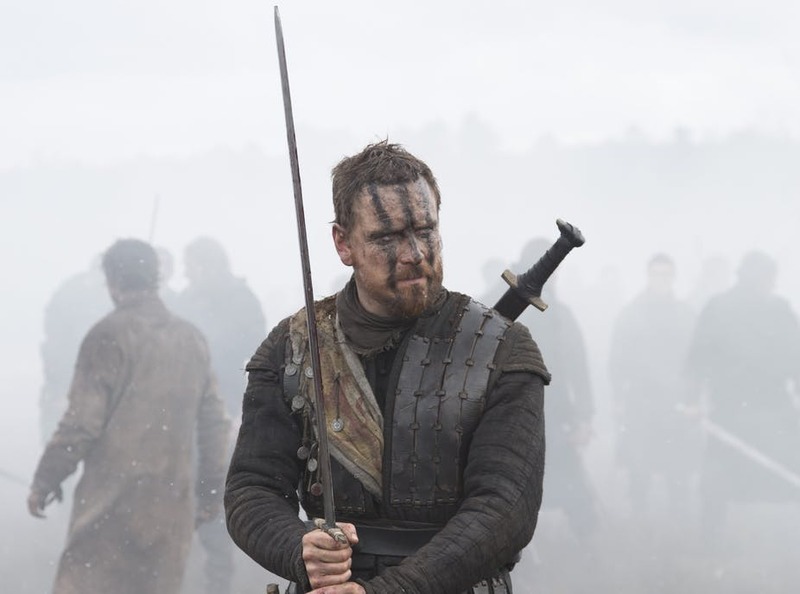 Michael Fassbender brings Macbeth to life. Macbeth’s father, Findláech (Finlay), had been murdered by his own nephews in 1020, and his death is noted in two Irish chronicles, the Annals of Ulster and the Annals of Tigernach, the main sources for this period. Nevetheless, one describes him as King of Alba (Scotland) and the other as Mormaer – a title roughly equivalent to the English “earl” – of Moray. This ambiguity of title appears to stem from the fact that the north of Scotland, roughly between the river Spey and the river Oykell, was a semi-independent region whose rulers largely accepted the overlordship of Malcolm II, who was based in the Tay basin. Macbeth himself first appears in history in the company of Malcolm II and Eachmarcach – a member of the Dublin viking dynasty who ruled in the Isle of Man and western Galloway – at a meeting with Cnut the Great when he came north to cement his overlordship in Scotland in 1031. The Anglo-Saxon Chronicle describes all three of the northerners as “kings”, suggesting that Macbeth was already de facto ruler of Moray by this time. Additionally, Macbeth recently had married his cousin’s widow, Gruoch, a member of Duncan’s royal line. By the time Malcom II died in 1034, then, Macbeth was a mature and capable ruler with strong royal ties. Malcolm’s heir Duncan, on the other hand, was likely still an inexperienced teenager. Indeed, Duncan’s first major military expedition as king, a 1038 attack on Durham, ended in complete disaster. And his second, apparently a 1040 invasion of Moray, Macbeth’s homeland, resulted in his death – although he was almost certainly killed in battle rather than murdered in bed. So began Macbeth’s reign. Perhaps surprisingly, the real Macbeth’s 17 years in power were largely uneventful, which probably speaks in his favour. In 1045, Duncan’s father, Crínan, by this time abbot of Dunkeld, led an uprising which was easily suppressed – and in 1050 Macbeth made a pilgrimage to Rome, suggesting he was confident of domestic security. Siward of Northumbria’s invasion, which provides the climax to Shakespeare’s play, occurred in 1054 and seems to have had the limited objective of liberating the Strathclyde region, only recently occupied by the Scots. Meanwhile, Macbeth remained secure in his own kingdom, north of the Forth. When his end came in 1057, it came from the North, where Duncan’s son Malcolm seems to have been living in exile with his cousin Thorfinn, the Scandinavian Earl of Orkney. Macbeth was confronted by an army led by Malcolm at Lumphanan, near Huntly in Aberdeenshire and, while the outcome of the battle is uncertain, Macbeth appears to have been mortally wounded, dying shortly afterwards. Macbeth was succeeded by his stepson, Lulach, who held out for a few months more, but the tide had turned in Malcolm’s favour and he was crowned Malcolm III in 1058. Malcolm III proved to be the ancestor of all subsequent Scottish kings and so Macbeth’s reputation was soon damned by posterity. His reputation wasn’t entirely sullied, however. One fragmentary 11th-century chronicle entry notes that Macbeth’s reign was blessed by unparalleled fertility in Scotland. This may simply record some clement climatic event but it is more likely that it reflects a popular memory, untrammelled by the concerns of dynastic legitimacy, that those were the good old days, when Macbeth ruled the Scots. This entry was posted in History, Literature, Shakespeare. Bookmark the permalink.